We offer several scholarships that are awarded annually to qualified students. These scholarships are renewable provided there is satisfactory progress made toward a degree in English. In 2018, the department awarded 23 students approximately $40,000 in funding. In addition, we provide a substantial stipend to English Education majors in their student teaching semester. This allows our students to focus entirely on the valuable exercise of student teaching. 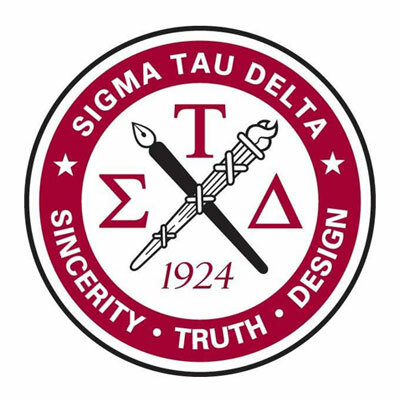 Sigma Tau Delta International English Honor Society was formed in 1924. Our local chapter, Phi Ro, was founded in 1982. 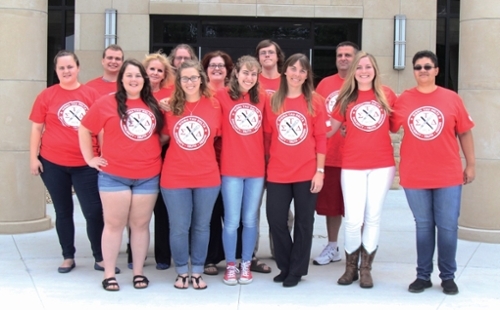 The Phi Ro chapter is active in both the Washburn University and Topeka communities, volunteering at many events in addition to hosting and organizing literary projects and events of their own. Our members work diligently throughout the year to promote and support literature and the arts. Click here to visit the Sigma Tau Delta International website. Washburn Transformational Experience (WTE), a program designed to support student projects that go beyond the everyday classroom experience by allowing students to choose and create projects that reflect their interests. Past WTE projects by English students have included independent studies focused on producing a creative work, scholarly essay, or presentation, conference attendance and participation, and many other options. Funding for travel, materials, and other related expenses is available on a competitive basis. Apeiron, an annual university-wide forum that showcases student research, scholarship, and creativity. Inscape, the literary journal compiled and edited by upper-level writing students at Washburn University. Annual literature essay prize competitions, awarded competitively by the English department.